Hot, hard, dusty work, baling hay. Not living on a working farm growing up, I’d sometimes help neighbors bale hay. Sometimes out of a sense of community, sometimes for the workout, sometimes for fun. Kinda. 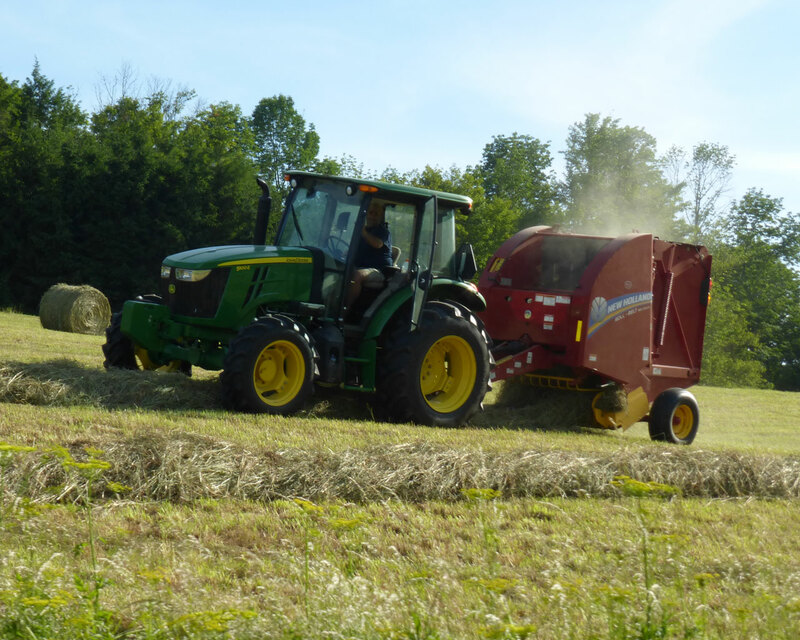 Nowadays, hay is packaged in large round bales; machines do most of the heavy lifting. The bales are sometimes protected from weather, but don’t need to be stored in a barn as do smaller square bales. Several weeks ago, I noticed a robin frequenting the eaves over the back patio. After several days of this, I looked up and saw her new nest. 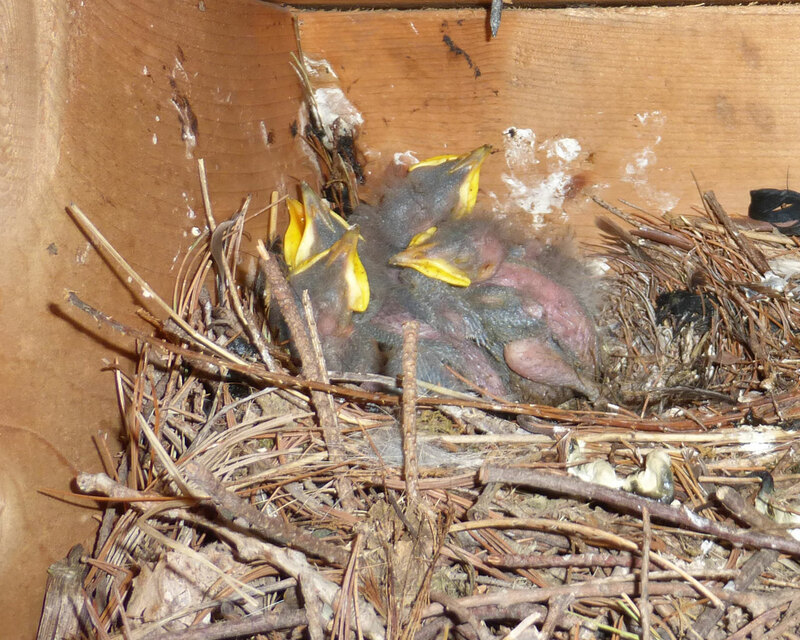 Trying to save us both disappointment, I removed the nest and placed it on top of a pile of dead branches in the yard. Not an optimum relocation; I had hoped adequate. Nearby enough I thought she would find the nest in it’s new location, and either reoccupy or relocate. My heart sank the next day when I noticed a blue egg shattered on the patio. Apparently, I moved the nest the day before she had no choice but to fill it. Maybe from habit, or absent any other option, she left the egg on the ledge from where I had removed the nest. It must have rolled off the now smooth surface and smashed on the blue stone below. A week or so later, a black bird, a starling I’m guessing, started to behave just as the robin had, swooping in under the patio porch roof, and then disappearing in the eaves. Though I knew what she was doing, this time I didn’t do anything about it. A week or so ago, a chorus of chirps erupted from deep under the tin roof. They’ll leave soon enough. It’s said that once some birds fly from the nest they grow so much they are unable to fit back in. Once they abandon the nest, unable to return, they must continue on to their future. After the youngsters make their way, I’ll invite the mother to leave, clean the mess made from their dwelling and contemplate ways to keep this from happening again. Meanwhile, I listen daily as their voices thicken and strengthen, waiting as their wings do same, until they take flight. at their property, 306 Sugar Hill Road, Union Dale, Herrick Township, now operating as Stone Bridge Inn and Restaurant. The Hearing will be held at the Municipal building, 1350 Lewis Lake Road, Union Dale. 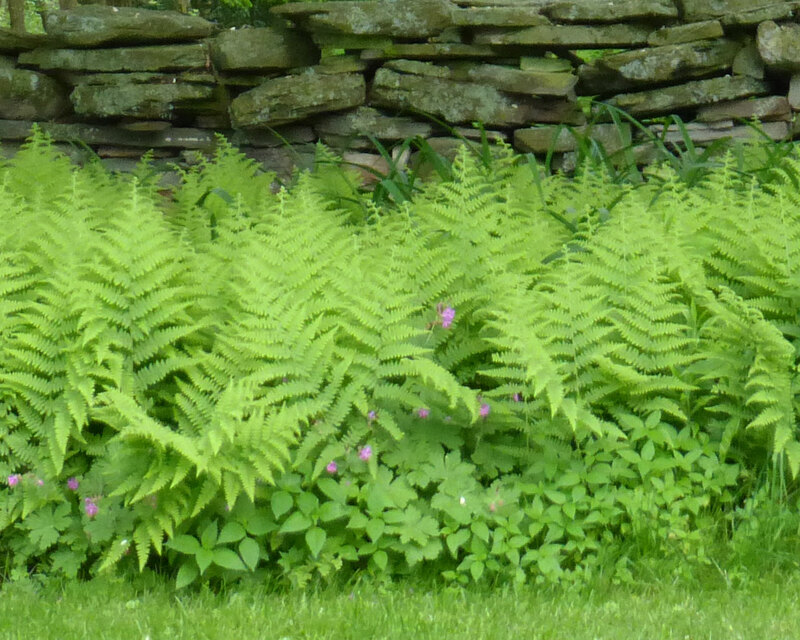 Stone Bridge is open and operating the inn and restaurant business as usual, serving dinner Thursday through Sunday. Also – Party on the Patio started last Thursday! Check Stone Bridge website for more entertainment! 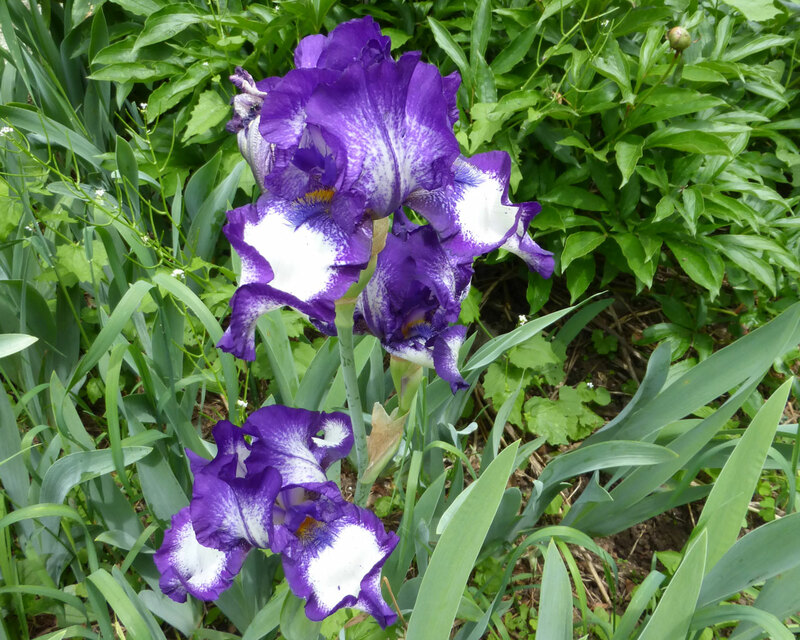 These irises are keeping purple in the yard as the lilac blossoms have faded. Unlike their cousins the snow geese who pass over in very early spring on their way back north and rarely rest in the neighborhood, this couple floats around a local pond most of the time. In Europe, northern Africa, and western Asia, the original domesticated geese are derived from the greylag goose Anser anser. 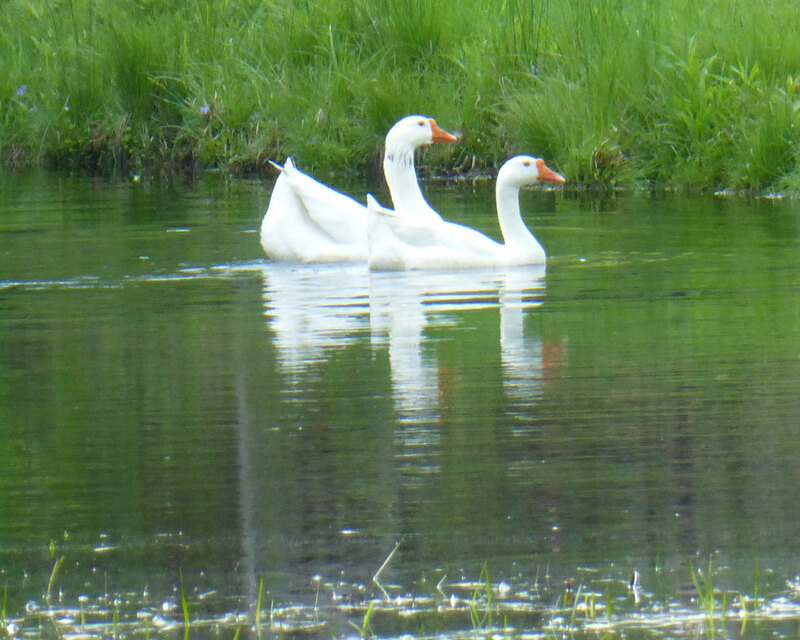 In eastern Asia, the original domesticated geese are derived from the swan goose Anser cygnoides; these are commonly known as Chinese geese. Both have been widely introduced in more recent times, and modern flocks in both areas (and elsewhere, such as Australia and North America) may consist of either species or hybrids between them. Chinese geese may be readily distinguished from European geese by the large knob at the base of the bill, though hybrids may exhibit every degree of variation between the two species.